Without preventative action, there will be more than 2 billion cars on the road in 2035, heightening already existing congestion and air pollution. However, there are alternatives to private vehicles that can circumvent this business-as-usual scenario, which are highlighted in the report Towards a Green Economy: Pathways to Sustainable Development and Poverty Eradication by the United Nations (UN). Indeed, the UN’s research urges mayors to implement sustainable mobility systems, like bus rapid transit (BRT), to grow economies and boost quality of life. BRTData.org—an online, open-source platform that collects and tracks the development of BRT projects globally—helps facilitate this sharing process. Since the release of the tool in 2012, the site’s main objective has been to provide BRT data from around the world to empower planners and policy makers. This year, the platform was translated into both Portuguese and Spanish, and reached a historic marker of 200 registered cities. This accumulation of BRT data from a variety of cities and regions of the globe is critical for BRT to spread and grow; the more expansive the data, the easier it is for cities to adapt BRT to their local context. Each month, new BRT systems are launched or expanded, benefiting millions of people. For example, in 2012, the database found that 134 cities had dedicated lanes or BRT systems, serving around 22 million passengers per day. Now, just three years later, the platform has 200 recorded cities with BRT systems, serving 32.9 million passengers in 200 cities. 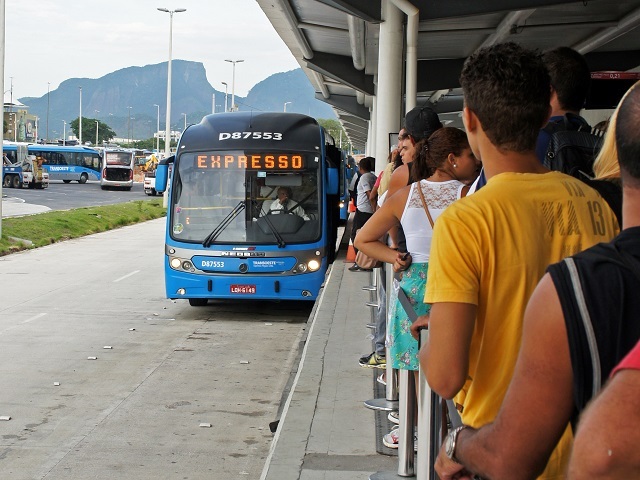 “The constant monitoring of new projects and new bus lanes and BRT have great importance because these information confirm the benefits of a global alternative to urban mobility, and the free access to data and information is a gain for all,” explains Cristina Albuquerque, platform chief and Transportation Project Coordinator of WRI Brasil Sustainable Cities. Granada, Spain and San Salvador, capital city of El Salvador, were the most recent cities to be entered into BRTData.org, boosting the number to 200. Together, the two BRT systems carry more than 27,000 people per day. On the movilidadgrana, Granada’s BRT website, the Department of Mobility points out how this mode of transport works to preserve the environment, while also being more modern, accessible and respectful of Granada’s city and heritage. “We win on the speed and punctuality of buses. In short: efficiency and sustainability,” the Department writes. The BRTData.org consulting platform covers various indicators on the operation, design and costs of the systems, including information on infrastructure, performance, fleet composition, road safety and system costs. Reaching 200 cities not only assists decision makers in choosing systems and features on a budget, but also provides indispensable data for analysis on the efficiency and outcomes of various designs and implementation strategies. BRTData is a living record of information on BRT, with a diverse set of uses. “The platform’s information is fundamental to meet the growing demand and interest in bus systems with high quality and capacity for cities seeking solutions for sustainable urban transport,” Cristina Albuquerque said. For example, the WRI Brasil Sustainable Cities team, in addition to managing the platform, also conducts research on the aggregated data. The global system analysis and the panorama of the American continent are examples of research that link innovation and trends in priority buses and BRT systems through data collection in BRTData. Platforms such as this one highlight the importance and need for open data, granting everyone access to a pool of information that informs planning. Transport data in particular is key for helping cities make smart and sound policies on mobility, and open data is especially critical for developing countries who may lack funds for costly data collection technology. The platform was developed by Across Latitudes and Cultures – Bus Rapid Transit (ALC-BRT), a center of excellence (CoE) in BRT, and World Resources Institute, in collaboration with the Latin American Association of Integrated Systems and BRT (SIBRT) and the International Energy Agency (IEA). The vast amount of data collected on the platform makes BRTData the most relevant database of BRT and bus lanes worldwide.